4.0 out of 5 based on 83 bloggers and 15 commenters. 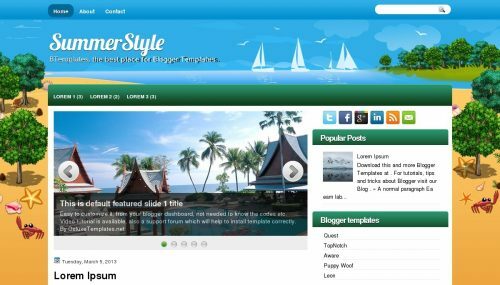 SummerStyle is a free blogger template with 2 columns, right sidebar, footer columns, slider, social bookmarking icons and vectorial elements. Excellent template for blogs about animals, nature or travel. Ho can i change background image? Cam i get this background image pls?